Many country homes and a few city homes feature septic systems for sewage disposal. 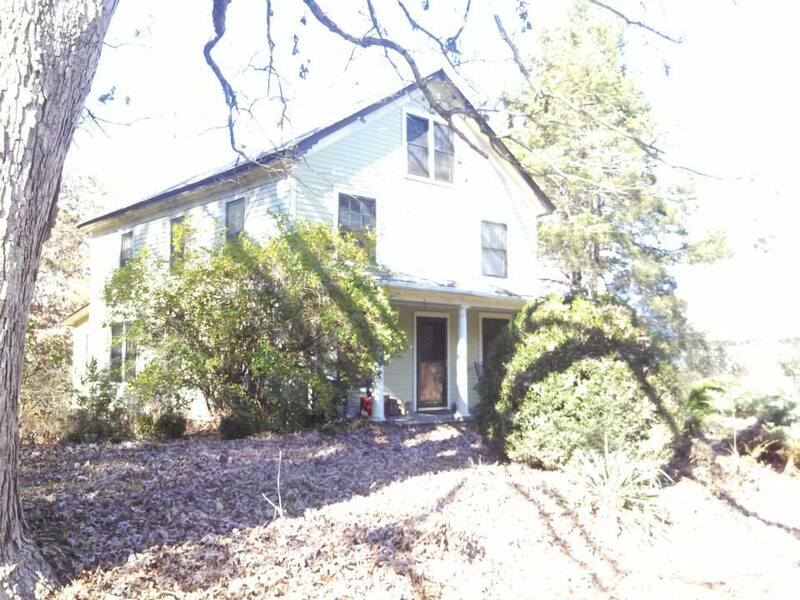 The 1st home I sold back in the early 1990’s was in Charlottesville, Virginia and had a septic system instead of being connected to the municipal sewer system. Over the years I’ve heard lots of different ideas on septic system maintenance from placing a dead possum in a new septic tank to get the bacteria going to doing nothing as long as it’s working to pumping ever 3, 5, 15 years. 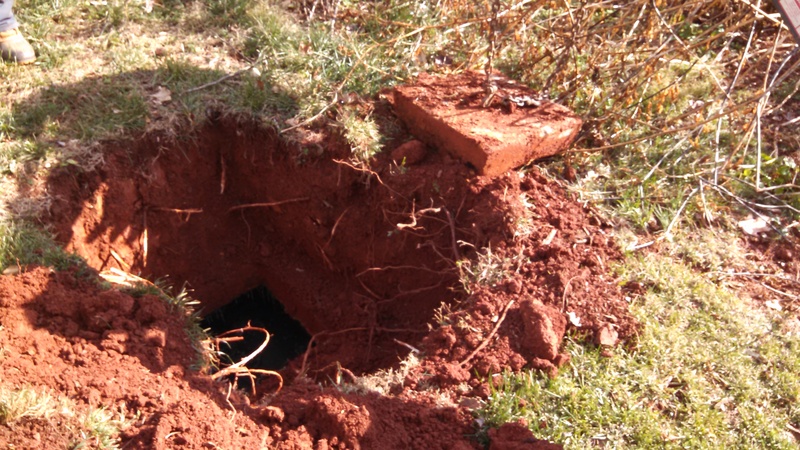 Both the Virginia Health Department and Virginia Cooperative Extension share info on living with septic tanks & septic tank maintenance. Several types of septics systems can be found in Virginia: gravity or pump systems; Biofilters; Wisconsin Sand Mounds; etc. Knowing the type of septic system in use remains important to developing a maintenance and use plan. 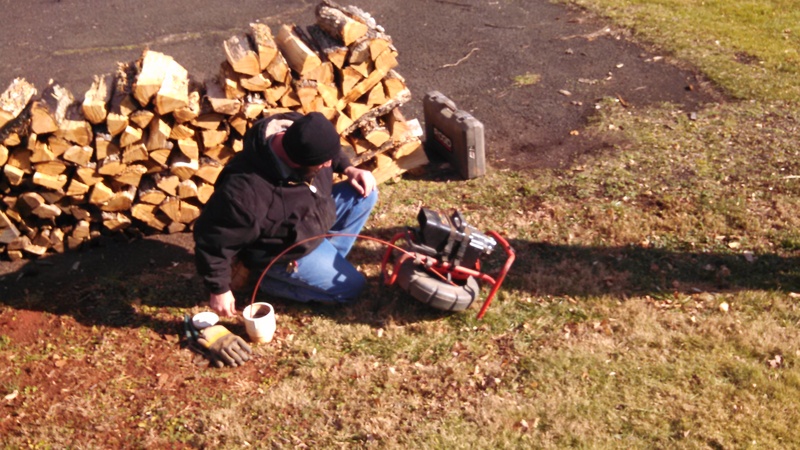 Inserting the probe/camera into the septic line. The first challenge consists of finding the line from the home to the septic tank and checking it for obstructions etc. On this day a probe with camera was inserted into the clean out and worked down the line both ways. We found some roots growing into the main line. 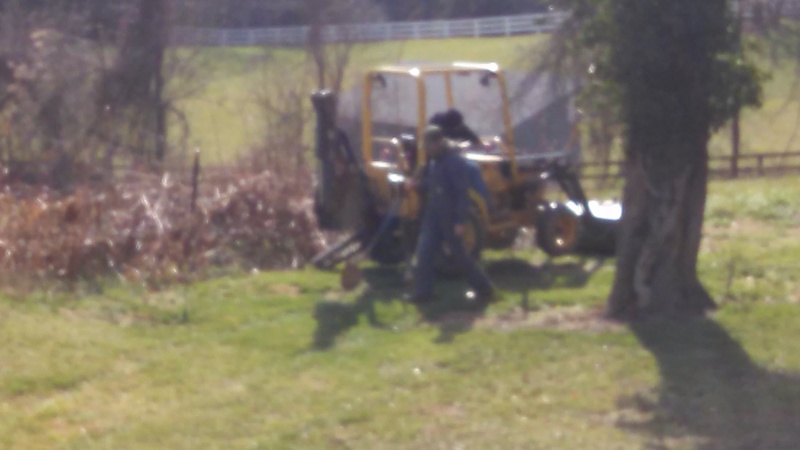 Following the probe in the septic line to the septic tank. 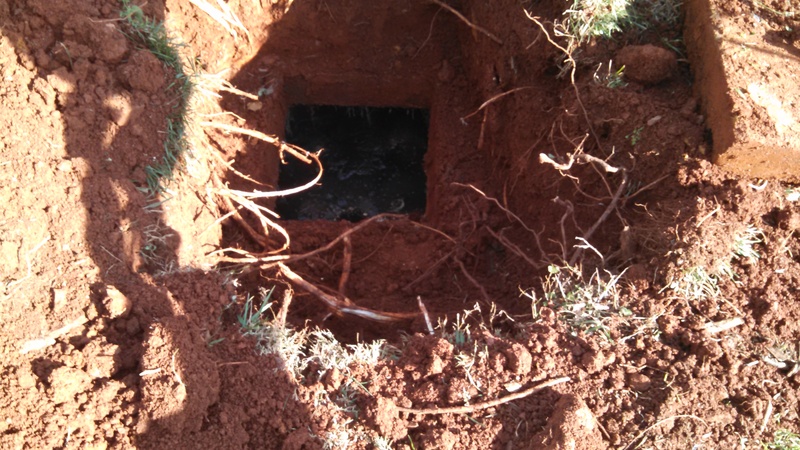 Above ground we followed the probe and located the septic tank. This eliminated digging multiple holes in the back yard to locate the tank! 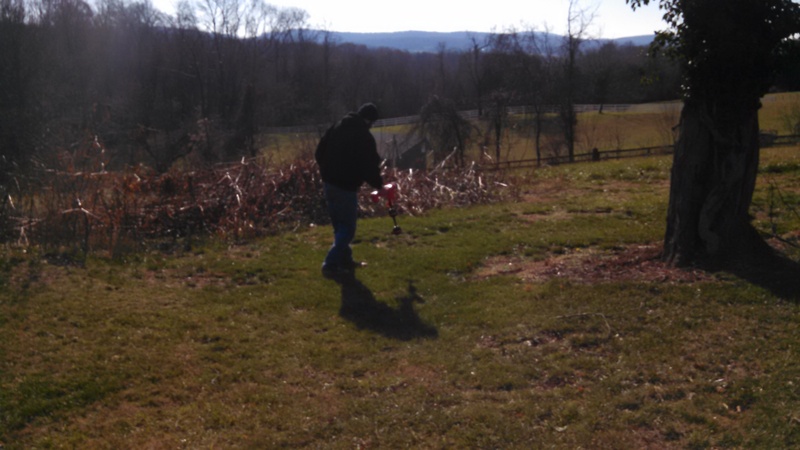 Opening/checking the septic tank & distribution box. After locating the septic tank, the serious digging began! We found the septic tank! We opened & checked the tank prior to pumping. This septic tank looked pretty good! Locating and opening the junction box. After checking the septic tank, we checked the distribution box which also looked good. Often homebuyers will have a septic contractor inspect the tank and lines. 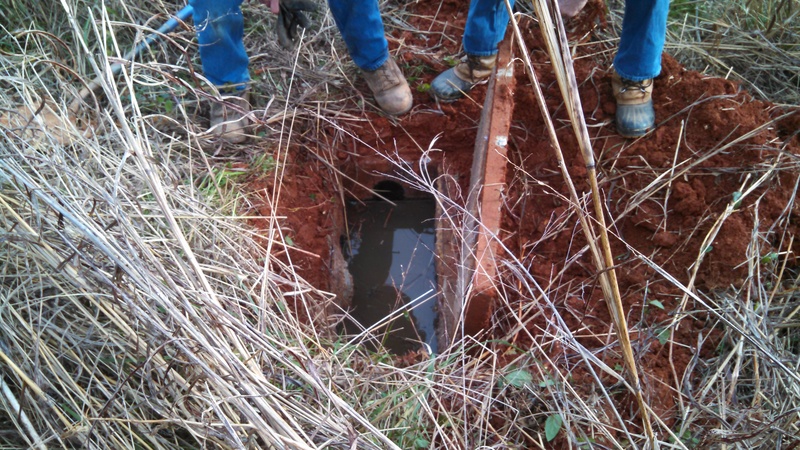 During a recent pre-purchase inspection, the contractor inspected the line from the house to the septic tank and from the tank to the distribution box. The contractor also dug down and opened the tank and box for inspection plus pumped the septic tank. 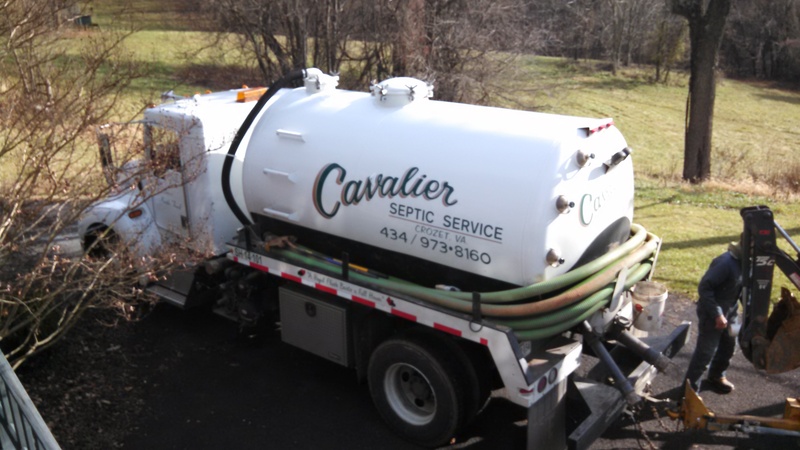 When buying a home with a septic system, please consider hiring a septic contractor to inspect and pump the system (they might as well pump while on site with the tank open!). This entry was posted in Country Living, Farms, First Time Home Buyers, Friendly Real Estate Advice, Homes, Real Estate Partners and Vendors and tagged septic, septic inspection, septic tank. Bookmark the permalink. I’m glad you had success with the septic tank inspection! Thanks for sharing.